Designed to provide fun, age appropriate activities that promote sportsmanship and fair play. Will develop the fundamental movement patterns and tools necessary for sport and overall health. Campers will learn about healthy nutrition, body weight strength exercises and recovery protocols. It is a two-week program. This program features a series of workshops and team-building activities to develop the skills needed to be a leader in a camp environment. 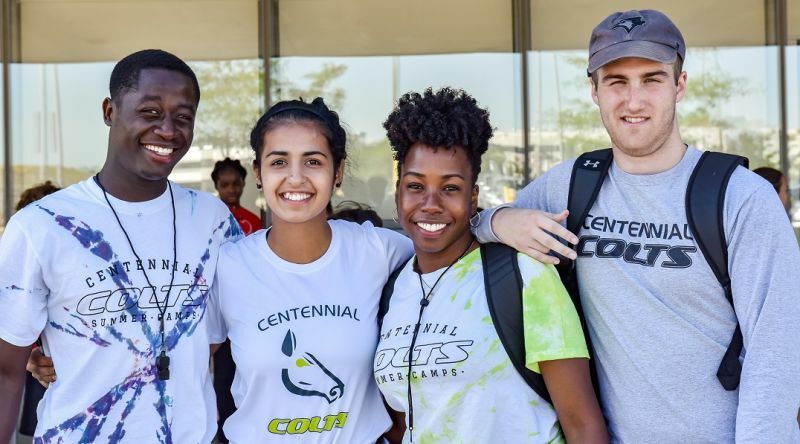 We truly appreciate your interest in spending your summer with us at Centennial Colts Camp. We have continuously been creating happy campers these past couple of years and are excited that 2018 will be our best summer ever! We want each child and teen who spends time with us to return home better than they arrived – with a new confidence in themselves and a rejuvenated thirst for exploration and knowledge. As we get ready to start our 3rd summer camp season, I want to make sure that every camper, parent, camp counselor and camp staff has the best summer ever. My camp office door is always open and I welcome you to please reach out to me at any time if you should have questions or need information about our summer camp program. Let’s make 2018 the Best. Summer. Ever! Interested in Centennial Colts Summer Camps?